"At Echo Tree We Match Didgeridoos and People"
At first, buying a didgeridoo may seem very straightforward. Although it's not a complex procedure, there are a few considerations we recommend you make. You need to be sure that your instrument will fulfill all your individual requirements. "Do I want my didgeridoo to be a functional, playable musical instrument, or an ornament only?" This is the first question you need to ask when considering your purchase. Buying an Echo Tree didgeridoo ensures that you have a genuine, functional musical instrument, as well as a thing of beauty. This is because Echo Tree only makes quality musical instruments. Since our focus and handcrafting experience is about quality, we believe our customers receive greater value for their money through the purchase of our didgeridoos. Echo Tree's entry-level didgeridoos are significantly less expensive than many 'tourist style' didgeridoos currently available on the market. If your individual needs are more specific, or you would prefer more personalized options, you can find out more about our Custom Made service on this web site or contact us. Modes of transport and frequency of intended travel may influence the length and/or weight of the instrument you decide to purchase. Length and weight are also closely related to the key and timbre* of the didgeridoo, thus all related factors must be weighed up and prioritized before an informed decision can be made. 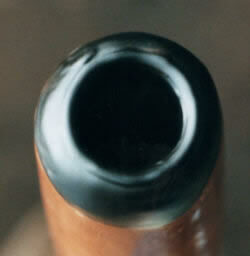 It is a good idea to protect your didgeridoo with a hard or soft case if you intend to travel. *Timbre is the musical character or tonal quality of an instrument. The 'key' or 'note' of a didgeridoo will affect its compatibility with the key or note of the music it is to be played with. The key of an instrument is closely related to its length. For example, a C or a D keyed didgeridoo would be more compatible when played with the guitar than other notes. Very durable and excellent for the musician who knows their own individual size specifications. The disadvantage of a wooden mouthpiece is its static nature, i.e. its size and shape cannot be easily changed. This less durable option has the great advantage of pliability. The flexibility of size and shape in a bee's wax mouthpiece is very user-friendly for the novice who may not yet know the optimum diameter that suits their playing. All mouthpieces, whether wooden or dark bee's wax are individually hand moulded to user-friendly specifications by our craftsmen. We have also taken special care to ensure that our bee's wax mouthpieces properly seal and adhere to the timber of our didgeridoos. 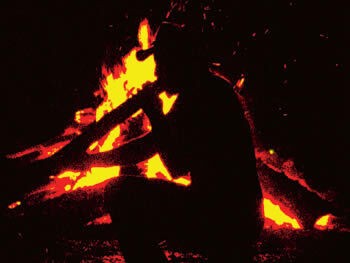 The didgeridoo is an icon of the Australian Aboriginal culture. It therefore naturally follows that any indigenous style artwork appearing on a didgeridoo should be a harmonious and compatible part of this cultural icon. An equally important factor to consider is the authentic indigenous origin of the didgeridoo artwork (this is addressed in greater detail under Quality Control). The ever-increasing investment value of genuine Aboriginal artwork on your didgeridoo is another factor to consider when making your choice. When buying a didgeridoo with the intention to play (or learn to play), it is important to remember that artwork will not make it sound any better. If the sound quality of your didgeridoo versus money spent is a major factor in considering your purchase, then the woodgrain option is an attractive choice. At Echo Tree, we cater for the novice and professional didgeridoo musician alike. Because quality is our focus, our price structure directly relates to this aim. Every didgeridoo we make is assessed for sound quality and priced accordingly. This means that the sound quality of your didgeridoo is directly related to its value. Although this is not an immediate consideration for the buyer, it is an important one for the future. The didgeridoo, like any other musical instrument is a delicate, beautiful and functional piece of artwork. Protection of your valuable didgeridoo investment is essential for its preservation, especially for the traveler. Contact us for more information on how to protect your didgeridoo.